Hunter Kelly, of EY, said the threat of a no-deal Brexit had caused disruption for many businesses. 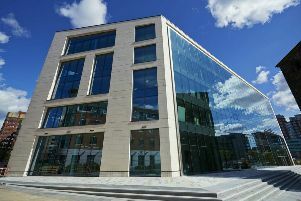 Yorkshire and North East quoted companies issued 10 profit warnings in the first quarter of 2019, the same as in the previous quarter, according to EY’s latest Profit Warnings Report. The number of warnings issued by plcs in the region has remained steady in the last 12 months – between nine and 10 issued in each quarter – but is still at a relatively high level, according to EY. The 10 profit warnings recorded in Yorkshire and the North East in the first quarter of this year were spread across six sectors, including support services, travel and leisure, and personal goods. Mr Kelly, who is EY’s head of restructuring for Yorkshire, said: “Protracted uncertainty is taking its toll on the UK and has impacted on consumer, investor and business confidence for a good while now. “The ‘no-deal Brexit’ countdown was especially disruptive for businesses as they focused on how to deal with the likely supply chain and regulation issues that would arise.